The attendees were reminded that good corporate governance was vital not only for business, but also for sustainable growth and success. There were calls yesterday for companies to be more transparent and accountable by applying good corporate governance practices to build customer and investor trust. The inaugural summit of the Pacific Corporate Governance Institute (PCGI) took centre stage at Suva’s Grand Pacific Hotel. It attracted board directors, chief executive officers and senior executives. The Attorney-General and Minister for Economy Aiyaz Sayed-Khaiyum was the keynote speaker. Mr Sayed-Khaiyum said in Fiji there has been plethora of changes taking place in respect of the new laws being introduced, new companies formed. He also highlighted there have been a number of foreign investors that have been coming to Fiji which means that we need to lift up our game. He noted that the current strategy being used by Government to attract more foreign investors was ensuring they adhere to international accepted standards. He further added this was whether it was environmental law, labour laws, governance issues pertaining to transparency of the executive in terms of civil service and also the ability to adapt to the digital age and also the governance of various institutions. He reminded directors that they need to critically analyse themselves and their roles. He stated that they need to understand the board in which they sit, understand the organisation which they are to serve, what is the purpose of the organisation, what is the mandate of the organisation, are they fulfilling their duties?. Australia’s High Commissioner to Fiji, John Feakes, said in this competitive world, building customer and investor trust is fundamental for business survival. Good corporate governance, Mr Feakes further added was gaining priority in the minds of investors and other stakeholders. He said companies increasingly have to be more transparent and accountable to their stakeholders and understand and manage a broader set of risks that could disrupt their business than ever before. PCGI chair Nouzab Fareed said numerous studies have shown that good corporate governance has a positive impact on a business’s performance and access to finance. He further noted that the work of the institute as well as the summit will play a crucial role in raising governance standards in the market, which will help Fijian companies better manage risks and improve profitability. 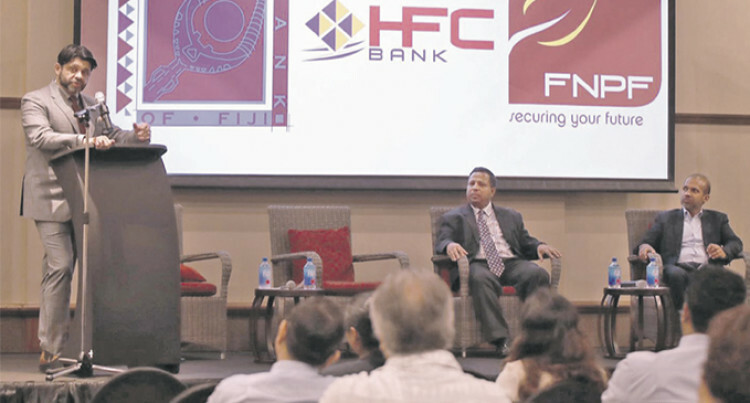 International Finance Corporation’s (IFC) Resident Representative for Fiji, Samoa, Tonga, and Kiribati, Deva De Silva said they are seeing a strong appetite within Fiji for the business community to learn more about corporate governance. The Summit was designed to stimulate meaningful discussion on a variety of governance-related topics. The programme included a collection of distinguished leaders from the private and public sectors, along with international experts. “Good corporate governance is a critical component for the development of any organisation. It’s important for companies to improve their corporate governance practices if they’re seeking to expand, foster stronger ties with other potential partners or developing a smooth succession plan,” Mr De Silva said. Mr Feakes also noted that Australia’s aid programme aims to reduce poverty and support economic opportunities for all Fijians. “We have increased our focus on supporting Fiji’s private sector by assisting the Government to strengthen Fiji’s overall business enabling environment. “We do this by funding the Asian Development Bank and the United Nations Capital Development Fund to work with the Government to improve Fiji’s financial sector and investment environment. “Since 2016, we have also partnered with the IFC to work closely with relevant ministries and agencies to support the Government’s endeavours to improve policies and regulations that support businesses to invest and grow. IFC’s Corporate Governance Programme in the Pacific is implemented in partnership with the Australian Government, through the Department of Foreign Affairs and Trade. The programme aims to help Pacific companies adopt effective governance standards and practices by raising market awareness, building the capacity of regulators and local partners, and providing firm level advisory services. IFC, a member of the World Bank Group, with the support of Australia, set up the Pacific Corporate Governance Institute last November, with the endorsement of the Reserve Bank of Fiji.